Let’s compare another set of Clarisonic products. This time, it’s between the Mia Smart and the Mia 2. On one corner is the Mia Smart, a recipient of The Oprah Magazine‘s Beauty O-Ward in the Fall of 2018. 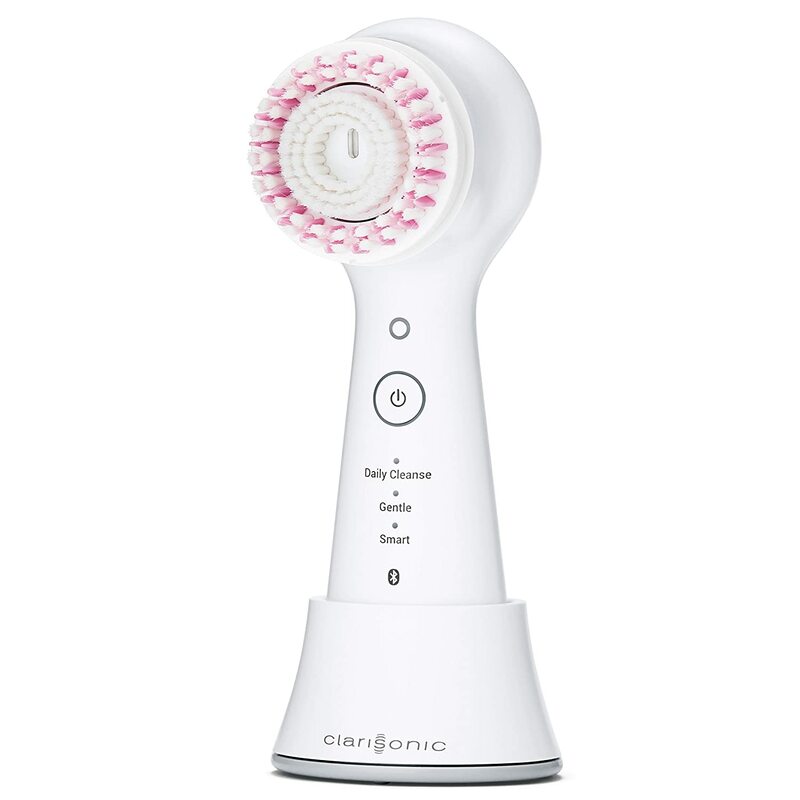 On the other is the Mia 2, a long-standing product of Clarisonic with 2 speed options. What are their differences? Which has better features? Which of these sonic brushes should you have? To help you with the answers, use this Clarisonic Mia Smart vs Mia 2 comparison report as a quick reference. Let’s start with this comparison chart. Here are the main differences between these two Clarisonic facial brushes. The most noticeable difference is their design. The Mia 2, just like the Mia 1, is bulkier. The Mia Smart, on the other hand, is slimmer and sleeker. The Mia 2 has two gray buttons on its handle. The lower button allows you to power it on and turn it off. The other lets you choose between two speeds or modes – delicate and universal. The Mia Smart has a more modern-looking control panel. At the center is a multi-function button that allows you to turn the unit on or off, and to choose among three modes – daily cleanse, gentle, and Smart. For each preference you set, the indicator will light up to show your selection. Let’s not forget to mention that the Mia Smart also comes with a brush-head replacement indicator light. When it’s time for a replacement, the built-in time strip turns red. Both of these Clarisonic sonic brushes charge inductively, but they come with a different charger. The Mia Smart has a charging stand, which gives you up to 100 minutes of use per charge. The Mia 2 comes with pLink charger. Take a look at the images below. The Clarisonic Mia Smart is called a 3-in-1 device for a good reason. Not only does it cleanses your face, but it can also help you reduce under-eye puffiness and help lift and firm your skin. Aside from that, the Mia Smart allows you to connect to Clarisonic‘s app so that you can sync and customize your own routines. The Mia 2 is designed for deep-cleansing and effective makeup removal. And no, it doesn’t have Bluetooth connectivity. Also Read: Clarisonic Mia Prima vs Mia 1: What’s the Difference? So… which has better features? 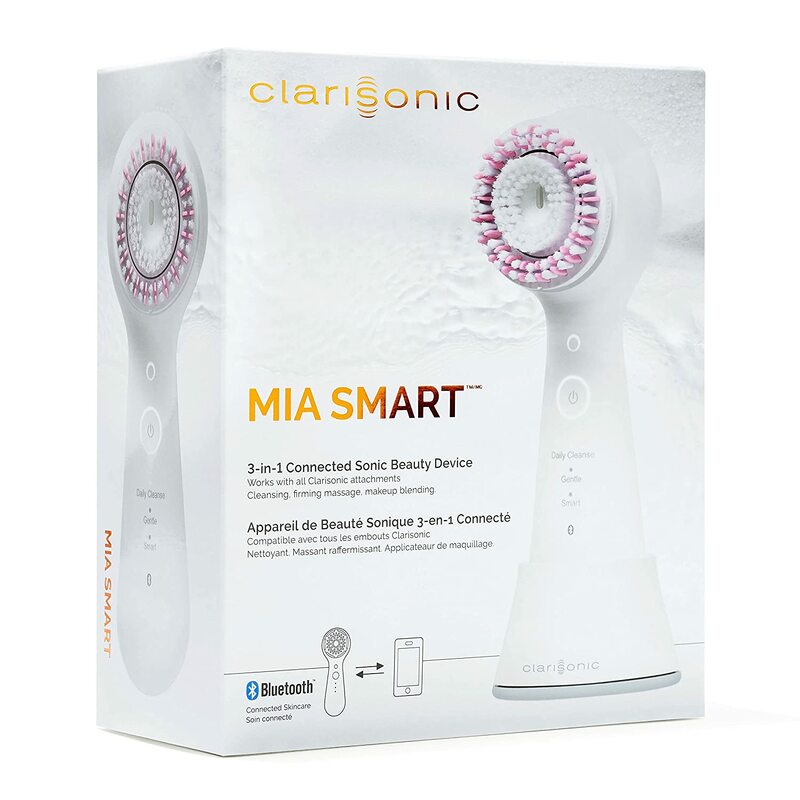 It’s the Clarisonic Mia Smart. Not only does it function as a facial brush, but it can also help reduce the signs of aging. It comes with a charging stand, has a much sleeker control panel, and it has Bluetooth connectivity to let you customize your skincare routine.